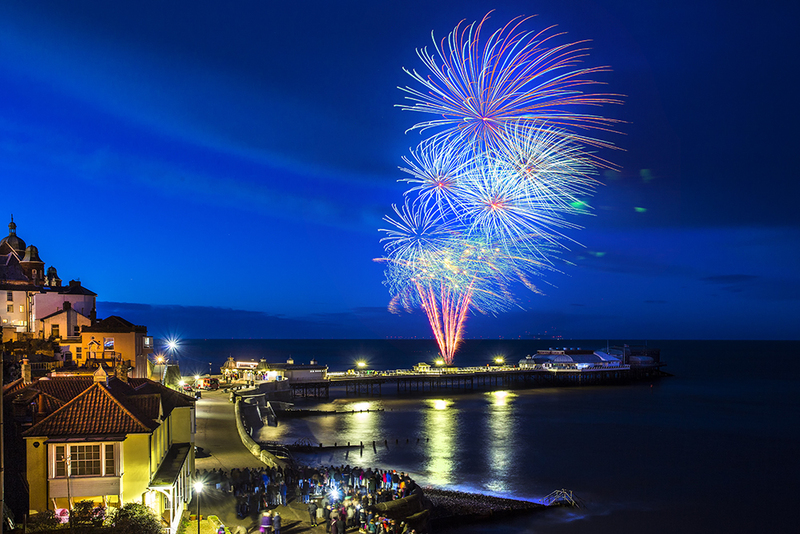 On the 1st of January our team came together to put on the annual New Year’s Day Fireworks Display in Cromer, Norfolk. The event is held to help raise funds for local projects and draws huge crowds from all over the county and beyond. The event has been kept free to attend but there is a voluntary donation system on the night, so the pressure is on for us to deliver something that will encourage the crowds to put their hands in their pockets. 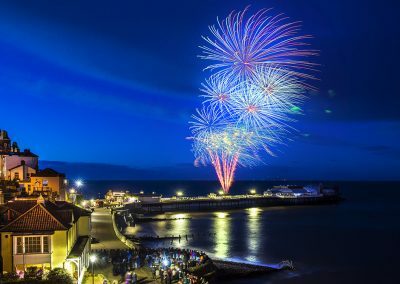 We are given free reign to use the iconic Cromer Pier in any way we want, both as a firing platform and to show off the structure. Luckily this year the tide was fully in at the time of firing which gave us the perfect opportunity to flank the effects out as wide as possible, with two positions firing almost horizontally. 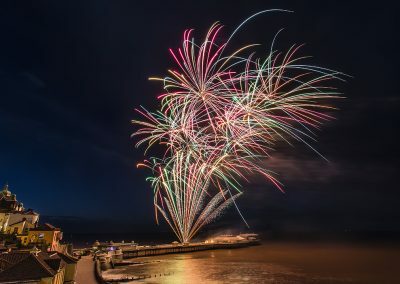 Not only does this look impressive for the multitude of photographers entering the town’s competition, but it also gives the display real width as we are firing to an audience spread out over three miles. 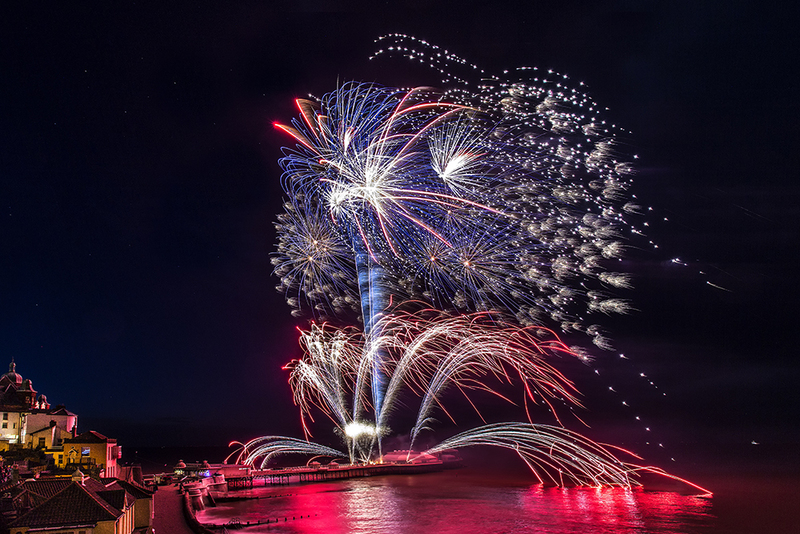 The favourable tide also allowed us to fire effects directly into the water so we chose to light the sea with a red aquatic strobes followed by lines of silver flares illuminating the pier. 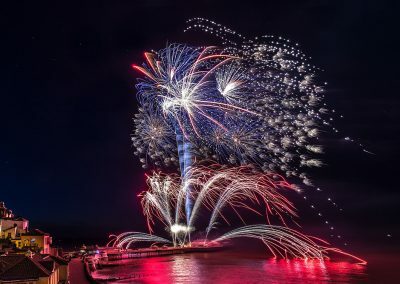 When you couple these two elements with the high intensity aerial display off the body of the pier the effects produced are quite dramatic and have drawn some excellent feedback (as evident in these superb photographs courtesy of Ian Ward). We always look forward to working on this show as it allows us the scope to push boundaries and try new things to impress the crowds. The council have worked very closely with us and are brimming with ideas, which we then endeavour to bring to life so that they can continue to build the profile of this event and raise funds for so many good causes.